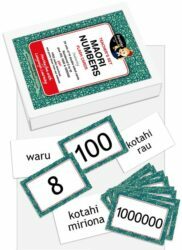 Buratino ProductionsTe Reo Māori language games, Māori Language Week resources, free Maori language resources and activities are designed specially for teachers, students and Maori language beginners. All of our Maori language games are ideal for use in the classroom – for group work, in pairs or individually – and make excellent revision tools for beginner Maori language students. Test your ability to recognise and pronounce a selection of signs in Te Reo Māori. This free to download and use PDF has an embedded sound pronunciation guide for each sign.